The Kairios Library has taken its name from Theophilos Kairis, one of the most important intellectuals of the Greek revolution of 1821. Theophilos Kairis was a close friend of Adamantios Korais. The Grand Teacher of the Greeks declared the revolution in Andros in 1821 as a member of Filiki Etairia. The philosopher from Andros founded a higher education institute on the island. 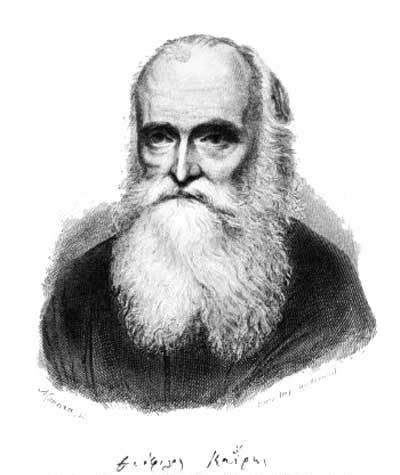 He taught philosophy, philology, mathematics and astronomy. Unfortunately, the spirit of the philosopher and fighter with the great spiritual work was imprisoned as a heretic in 1852 in the prisons of Syros where he passed away the following year. 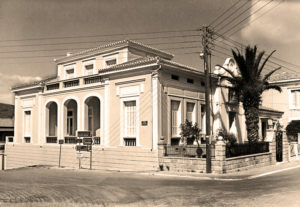 The Kairios Library was established by Presidential Decree in 1987 as a Non-profit organisation. Its operation is based more on donations and at times from funding received from the Hellenic Ministry of Culture. The Kairios Library houses almost 3,000 volumes of the private collection of Theophilos Kairis. Apart from his collection, more than 85,000 titles are stored in the library’s rooms. There are kept old, rare and scarce publications and manuscripts. It houses historical archives such as an extensive collection for the shipping of Andros and outstanding works of art. Among the exhibits and objects of historical value is a collection of ancient pots and statuettes. Kairios Library has also set up a modern bookbinding and maintenance workshop and has a lending department and a children’s book department. During the summer months, literary exhibitions and musical events are organised. Kairios Library is a major attraction of the island, and those who love books are sure to admire it.